O Portal cmrodrigues.com deseja-vos a todos um Feliz Natal. Publicado em AR LIVRE, DANÇA, FILMES, FUTEBOL, GASTRONOMIA, JOGOS, LIVROS, MÚSICA, POLÍTICA, PROMOÇÕES, SUGESTÕES, TEATRO, TECNOLOGIA, VIDEOS com a(s) etiqueta(s) Natal a Dezembro 23, 2016 por miguelrodrigues. 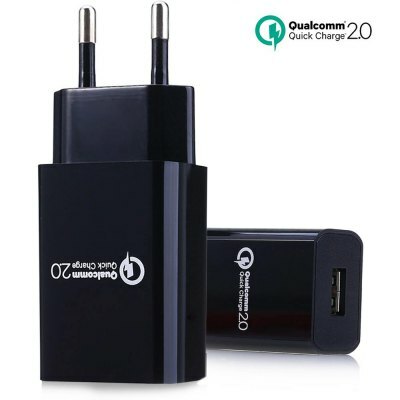 – Fast: QC 2.0 technology reduces the charging time by up to 75 percent. – Smart: With Volt IQ technology, which could automatically recognize your devices and is compatible with most of electronic devices. – Safe: Over-current, over-charging and short-circuit protections will make the charge safely, without any risk of overheating or damaging your devices. Publicado em PROMOÇÕES, TECNOLOGIA a Novembro 24, 2016 por miguelrodrigues.